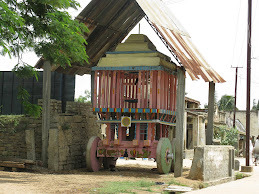 Byrakur is a place name, located in Mulbagal Taluk, Kolar district in Karnataka state, India. Byrakur is also headquarters for almost 16 villages!. Byrakur is just 3.5KM away from the National Highway-4 (Pune-Bangalore-Chennai)! History tells once upon a time Lord Kodanda Rama visited this place while searching lord Sitha Devi in the Ramayana era, to remember this incident the peoples of Byrakur constructed Kodanda Rama swamy temple and started worshiping god. some times old peoples were glancing Byrakur had small fort in the ancient time and it was ruled by some unknown king/loandlord. Byrakur is a beautiful place surrounded by green fields in three direction and big lake by name called “Byrakur Lake” in one direction, lake is depending on rain water & it require huge amount of water to overflow. 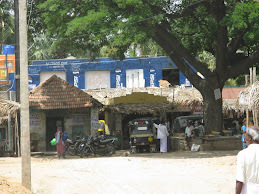 One lane road is also passing through this place and it connects Karnataka state Mulbagal and Andhra Pradesh state Punganur. Byrakur is a main popular place lies between Karnataka and Andhra state boarder. This place just 110Km away from state capital Bangalore, 48Km from district headquarters Kolar, 15Km from taluk headquarters’ Mulbagal. And also just 15Km away from Punganur, Andhra Pradesh. “Chikkuru Betta” is a small hillside present nearby Byrakur, this place is having a history which relates to Ramayana. Ø On this small hill station you can see following wonders. Ø One cave, it seams nobody went inside but all old people tell its deep cave. Ø Here you can also see small and big rocks. White and Black small hill station are located nearby Byrakur. You can see 'Birrae banda' a small white rocks hill side. Sri Kodandda Rama Swamy temple in Byrakur main street. 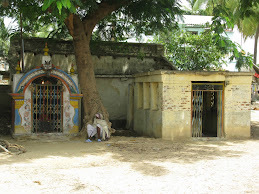 Sri Somaeshwara Swamy Temple in the Byrakur out skits. Lord Ganesh Temple nearby bus stand. 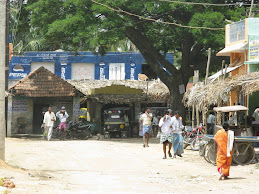 Lord Mid street Gangamma Temple. 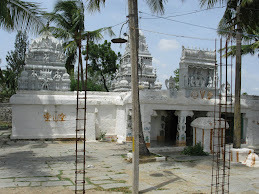 Kadanahalli temple and Marriage hall its is nearby village. Lord Gattu Venkatramana swamy temple, large fair and lord processesion will be organized every year. We can find many more small and Big temples near by Byrakur. Please note above mentioned temples large fair and lord Processesion will be organized every year. Government Hospital with 24 hrs service and also four private clinics are serving society. Well equipped Veterinary Hospital present. Nandhini Milk dairy, having in-house cooler facility. Mandal Panchat office and Uppa Thashidhar office Revenue department govt of Karnataka. One government food distribution store. One each Government Boys and girls Hostels. 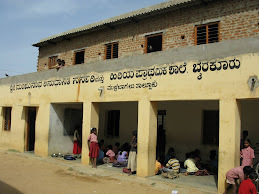 State government maintained Nemmandhi center. Two medical stores, opened around 14 hours. Frequent Private and government bus services are available Throughout the day & year . Peoples are following Karnataka's rich culture & Andhra Pradesh culture also influenced partially. Kannada and Telugu speakers main language, Telugu language influence is more. Agriculture is the main occupation. Agriculture activity is limited to rainy season. Water sources are RAIN, LAKE and BOREWELLS. Mulberry i.e sericulture activity and milk dairy activities are the main side business. Landlord family spitted into a group of families and they are all living at Babanna House’s colony, it is just 0.5km away from the Byrakur. Late Sri Babanna, Ayurvedic doctor and Late Smt.Eramma Babanna family memebers are serving society by providing free education to children’s (Sri Manjunatha Vidya Smasthe Trust) & providing free Ayurvedic treatments. 1). 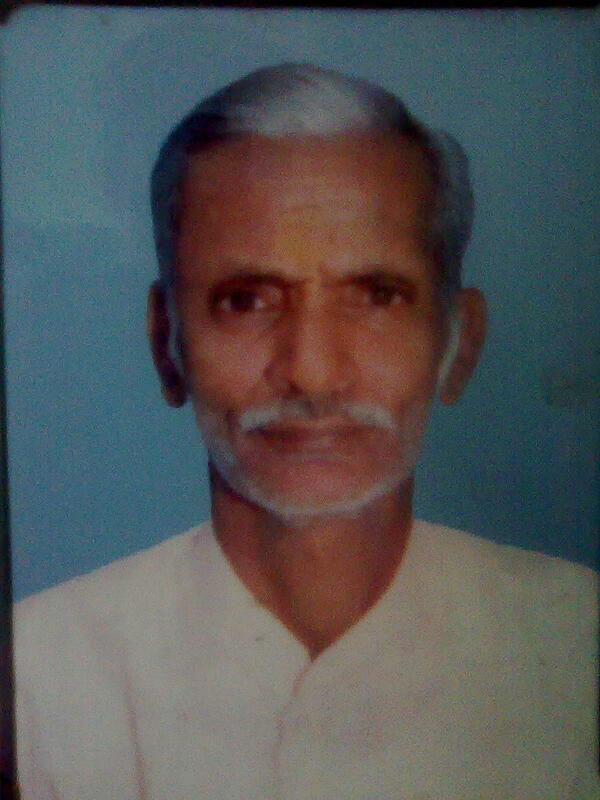 Landlord Muniswamy son Late Babanna B.M. and wife late Smt.Eramma Babanna are providing AYURVEDIC treatment to patients for various diseases from decades. Now thier family members are serving patients on part time basis. The above Treatments are provided as per the traditional and Lineage Ayurvedic method without or with less cost. 2). Late sri Babanna and Smt.Eramma Babanna & sons family owns. SRI MANJUNATHA VIDHYA SAMASTHE (SMVS) ESTD: 1987 registered trust, they are serving society by managing two schools from past two decades. About Famous Persons from Byrakur! Late Byrakur Venkatesh is a very well known kannada author from the town of Byrakur in Mulbagal district of Karnataka. 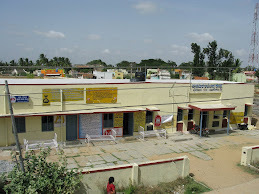 Born to Venkataramana and Venkamma on the 16th of august 1941 completed this primary and secondary education in the same district. Having passed his SSLC in 1958, he went on to obtained a degree in mining from the K G F School of Mines. He worked briefly as a mine supervisor at Taranagar and then later returned to his village to join as a second degree assistant at the "Nehru- Kennadi" High school and retired in August,1999. His works in Kannada literature are very memorable, are are multifaceted. His works include Novels, philosophy literature and a few religious works. He wrote more than 30+ books & few are published in Kannada language. He lived on the very ripe old age and passed away on the 26th of july 2009.